Course Website: Official Website - Visit Deacons Lodge's official website by clicking on the link provided. 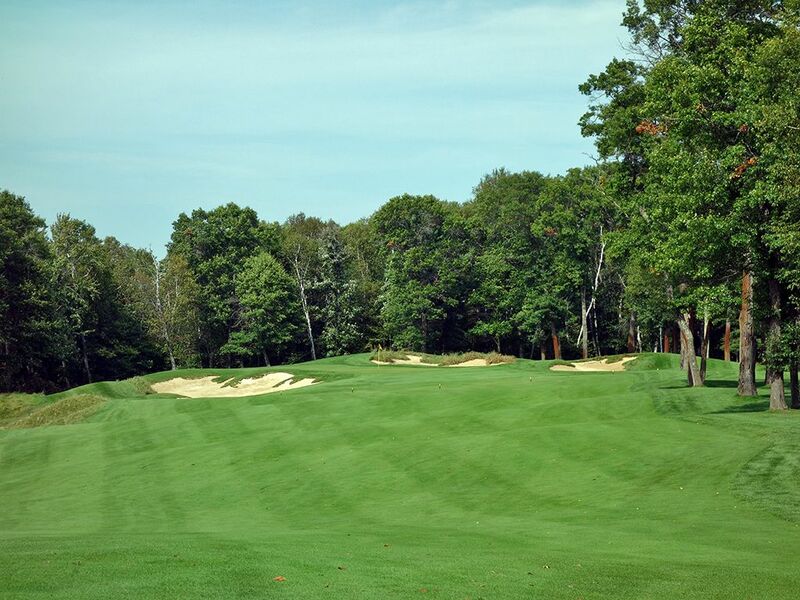 Accolades: Ranked 10th in Minnesota on Golf Course Gurus' Best in State list. 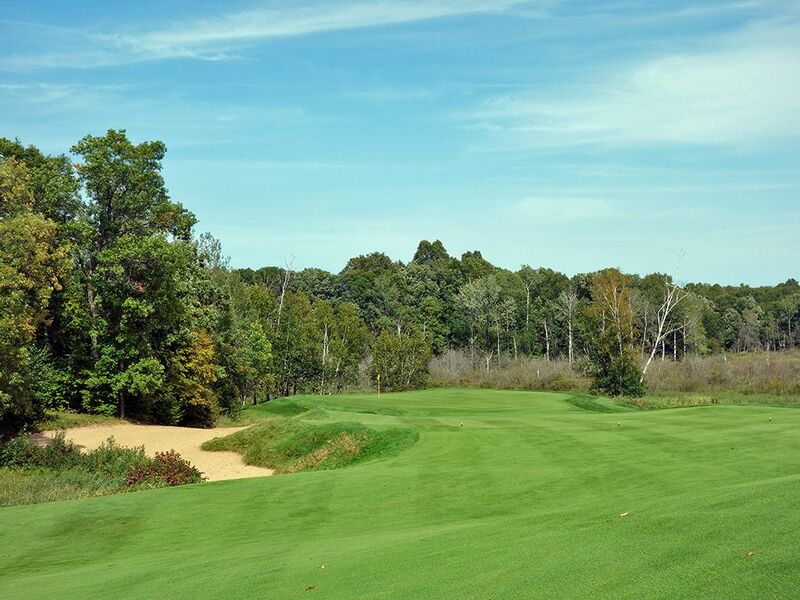 What to Expect: Located 2.5 hours northwest of Minneapolis, Deacon’s Lodge is one of Arnold Palmer’s more memorable designs with several holes that stand out on an individual level. That is evident with the opening hole which is a strong offering that features a stout carry off the tee over a center bunker before the fairway banks to the right and plays to a green that peninsulas out to a hazard area. 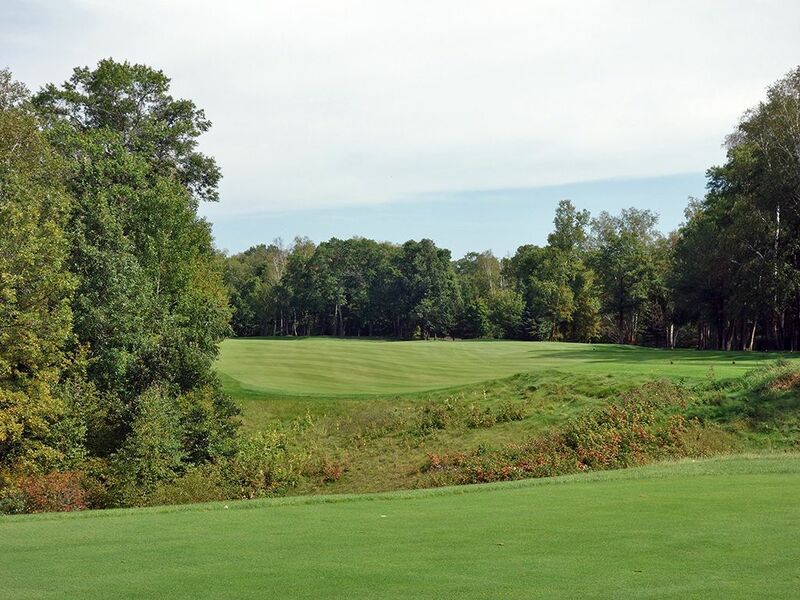 The course features tons of elevation changes with major slopes in the fairways and greens that lead to more uneven lies than flat ones so you’ll need to adjust to that quickly if you want to score well. That challenging terrain can make some of the hikes between around the course pretty difficult, especially on any days where it is cart path only. The driving corridors are fairly generous but looks can be deceiving at times since the effective landing area is smaller than you’d think and can lead players to picking their spots in how aggressive to be off the tee. The result is a course that plays plenty difficult and rewards the players that manages their mistakes the best. 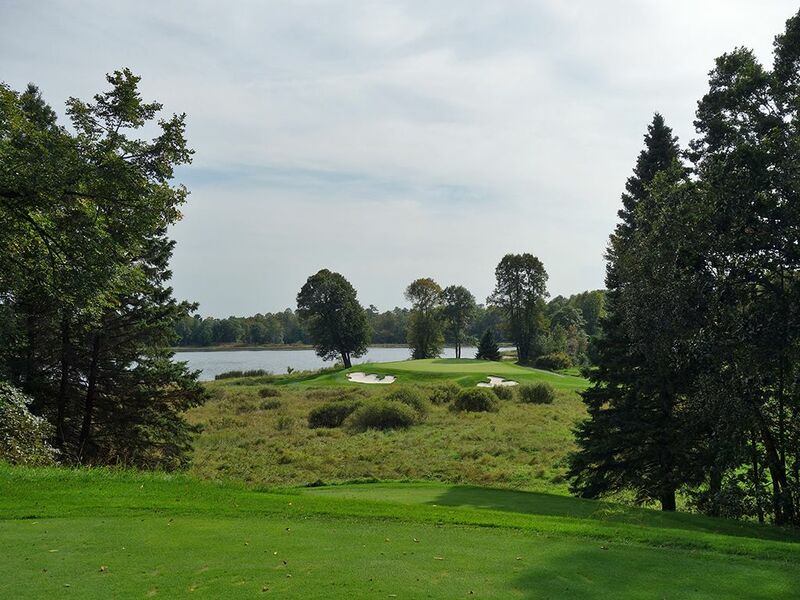 The setting is what you’d expect in Minnesota with large trees and lakes coming into play and beautifying the experience. 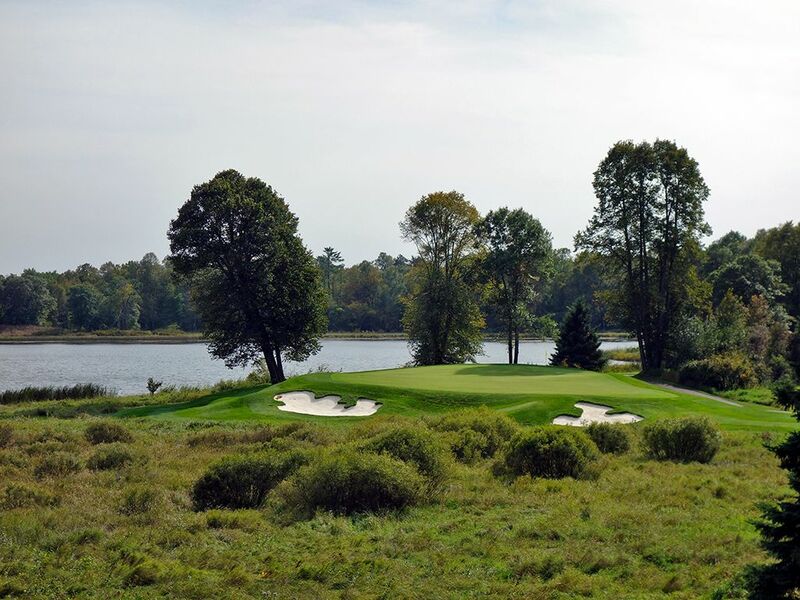 The turf is kept in good shape, especially for a public course, but the amount of play the course sees combined with the difficulty can result in some long rounds later in the day. The design and terrain reminds me of Cherokee Run in Conyers, GA which is another public Arnold Palmer designed track worth teeing it up on. 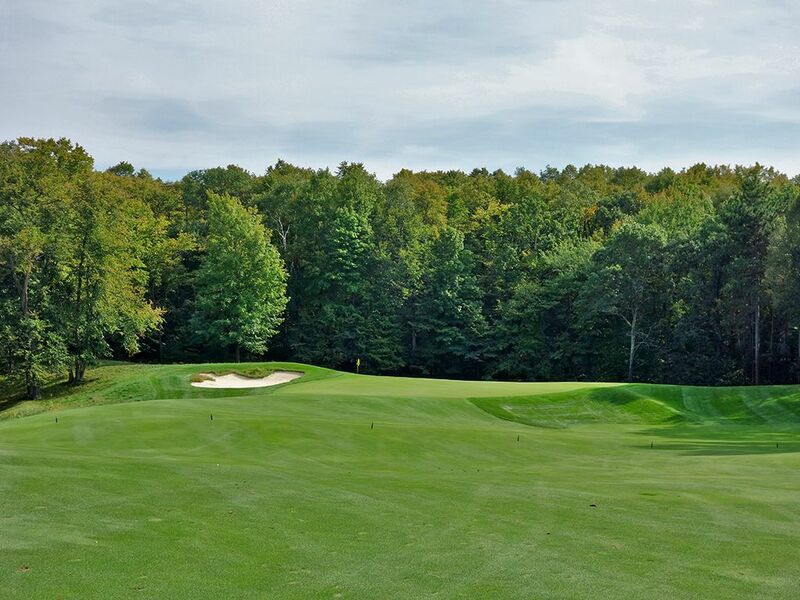 Signature Hole: 17th Hole – 200 Yard Par 3 – This hole is a flat out beauty. Selected as one of Arnold Palmer's "Dream 18" in the inaugural issue of Kingdom Magazine, this one-shotter is truly one of the best Arnold ever designed. Sitting with Douglas Lake in the background, the 17th is all carry to a green fronted by a pair of bunkers. The putting surface is relatively large to compensate for the lack of a bailout area and the forward tees play in from 90 degrees to the right of the back tee and allow for a more forgiving approach. This is simply a gorgeous and testing hole wrapped up into one. If I were doing marketing for Deacon's Lodge, a photo of this hole would be included in every ad. Best Par 3: 11th Hole – 196 Yards – There is so much fairway on the 11th that visually you might mistake it for a short par four, but in reality it isn't even 200 yards from the back tees. This large chipping area allows players to hit their tee shots well clear of the death trap left of this hole and take a line that stays right of the greenside bunker regardless of where the pin is. Only a sucker would go after a flag tucked in the back left of the green so don't even think about attacking there unless your ball has a death wish. 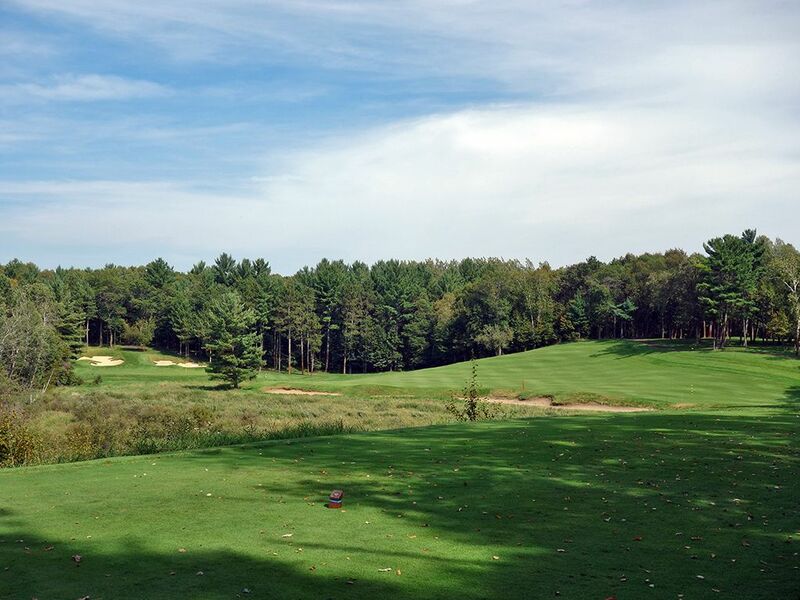 Best Par 4: 13th Hole – 450 Yards – This hole reminded me of one of the finest 13th holes in golf; the one at Pine Valley. 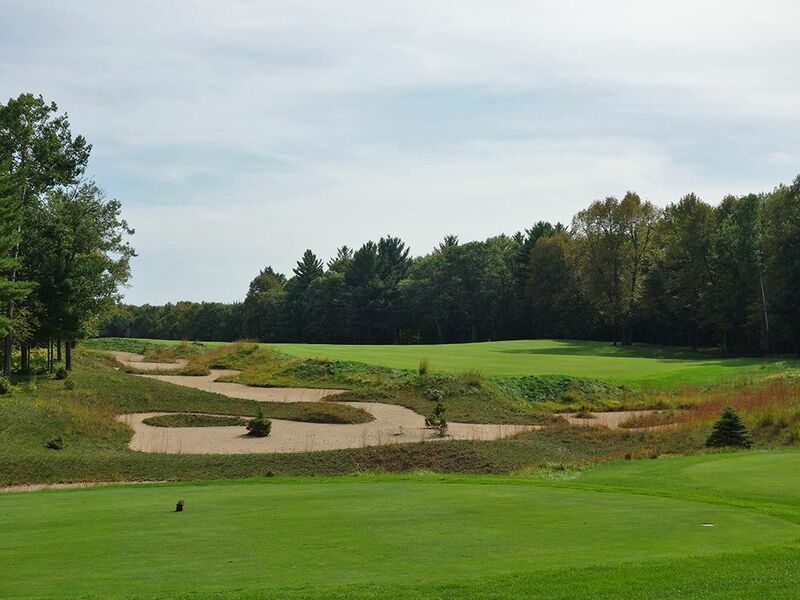 Measuring 450 yards from the back tee, your drive must carry a waste bunker enroute to the fairway that is at its widest between the two waste bunkers on the left side. The approach shot plays into a very narrow green that is three times longer than it is wide and features bunkers flanking both sides. The raised right side begs players to come in from the high side and work their ball into the green for their best chance of success. 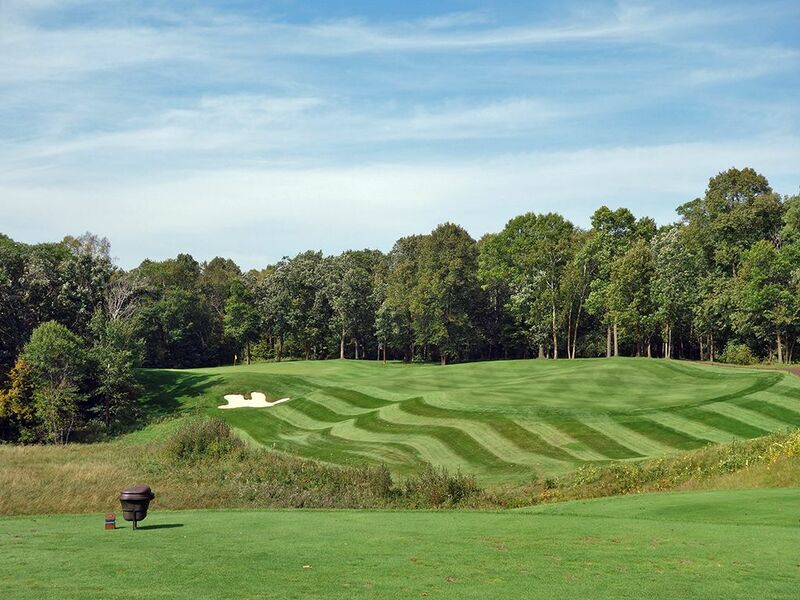 The subtle movements in the fairway and green combining with the need to hit some quality shots make the 13th one of the finest at Deacon's Lodge. 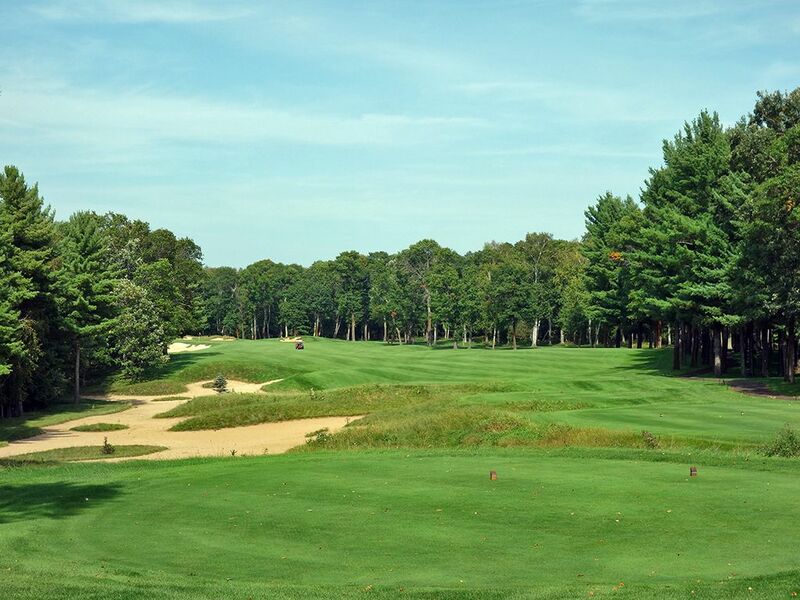 Best Par 5: 9th Hole – 543 Yards – If you can work the ball, you'll be rewarded handsomely on the 9th hole that swings from right to left and features a fairway that tilts the same way. A ball that starts up the middle with a draw can leave with an iron into the green if players utilize the slope on the right to bound the ball into the green as they successfully steer clear of the large waste bunker framing the left side of the green. If you choose not to go for it in two, keep up the right side the whole way and layup to 100 yards from the green to have the best look and amount of forgiveness to work with. Birdie Time: 12th Hole – 340 Yard Par 4 – The most thrilling shot of the day awaits on the 12th tee where players have an opportunity to test their metal by trying to drive the green. To do so will take carrying the ball 275 yards from the back tee over a waste area where a backstop will help work the ball back to the center of the green for an eagle putt. If you connect well it is exciting to watch the ball carry in great anticipation of whether you hit the jackpot or come up craps. If you decide to layup then a mid to long iron should be plenty to reach the right to left sloping fairway and set up a short approach shot into the green. Take a risk, have some fun, and card a birdie here! 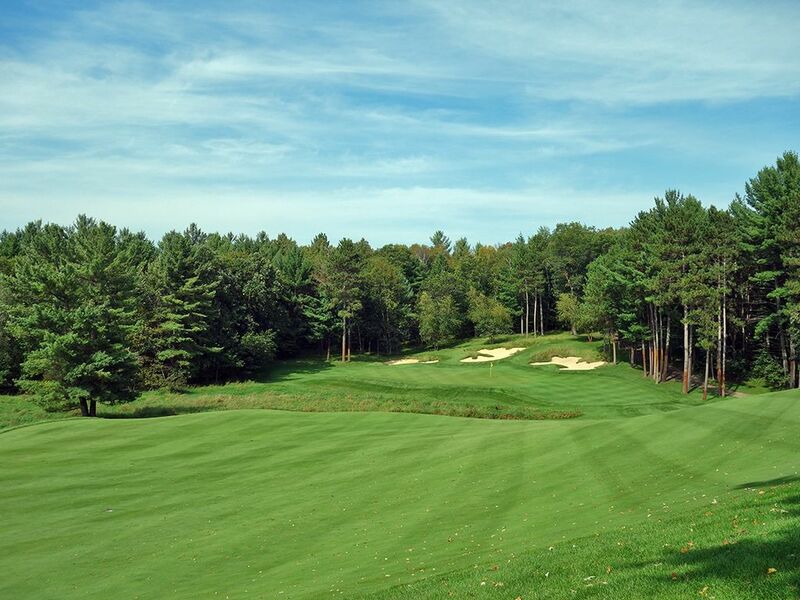 Bogey Beware: 15th Hole – 452 Yard Par 4 – The longest par four on the course, the 15th is highly demanding. The tee shot over the waste bunker is the easily of your challenges to conquer; it is the approach shot with a long iron to a green that falls off on three sides that smack most players back into reality. The safe miss is short and left where you'll have a flat lie on level elevation with the green; all other misses will test your short game to the fullest. This is the type of hole that separates the men from the boys on a scorecard.